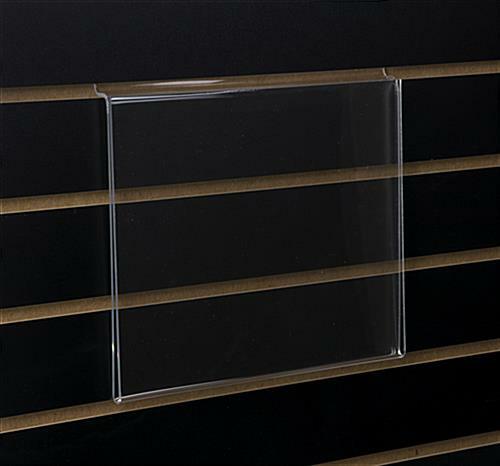 These slatwall graphic frames are manufactured right here in our warehouse! These graphic frames are the perfect platforms for your advertisements. 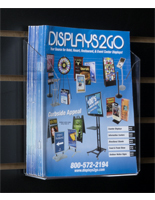 Add a punch of color to your display! 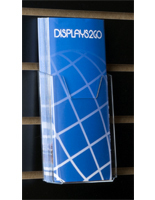 These slotwall accessories, graphic frames create beautiful poster holders. 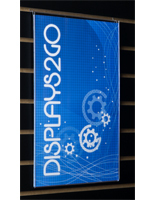 These graphic frames draw attention to your slat wall kiosk. The slot hooks fit most slotwall fixtures without adhesives, glue, or tools. 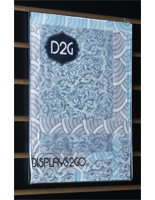 These frames, graphic holders are an efficient communication alternative. 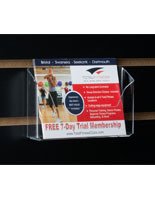 Catch the eye of potential customers by advertising product contents or new services. 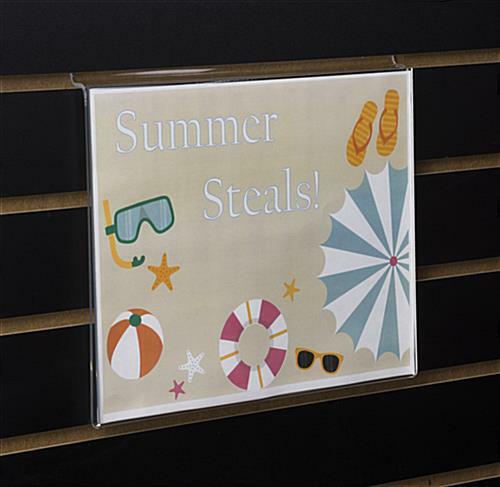 These graphics holders are very easy to use just print a landscape 11"x8.5" sheet to create your own sign! 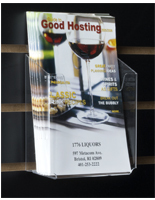 These holders, graphic frames are useful as sign displayers in retail fixtures. 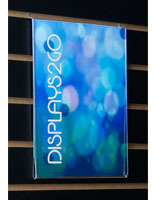 Graphic frames, also known as slot panel fixtures, can be relocated in minutes. The practical hook just slides in and out! 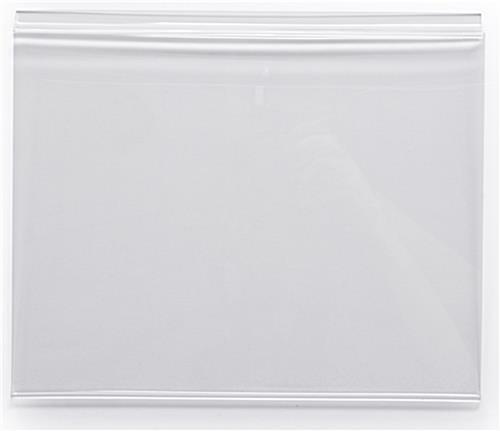 The frame's front panel is shorter than the back panel to facilitate updating signs. 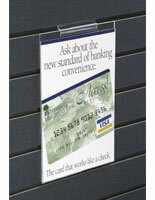 These slatwall graphic frames are an economical marketing tool. Great Value! !